Dr. Kevin Head attended the University of Manitoba, where he graduated with his Doctor of Dental Medicine. He developed a keen interest in the field of healthcare at a young age. Dentistry soon became his true passion and this was largely due to his admiration for an influence from his own family dentist. 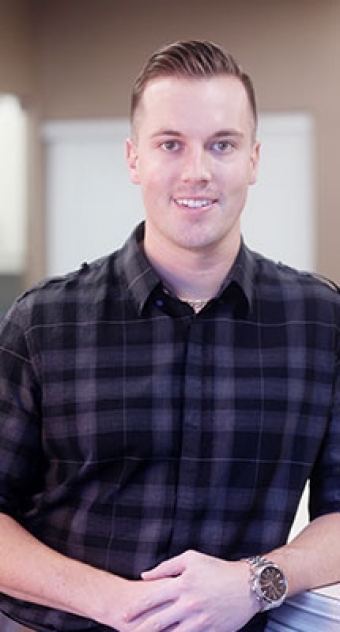 After working as a dentist in Manitoba for the first 4 years of his career, Kevin moved to Kelowna in 2015 and is proud to be part of the Peachland Dental Centre team. After hours, Kevin loves spending time with family and friends. He has a passion for motor sports and loves the outdoors. He is an avid golfer and enjoys travelling, boating, camping, quadding and snowboarding.